I remember going for a bike ride once when I lived in the small town of Marshall, Illinois. I had left town and was riding on one of the unending country roads. As I looked out over a field of wheat, it almost looked like snow had fallen on the field. This field was ready for harvest. Jesus said the same was true for the spiritual harvest. He said that we could look around and see the spiritual fields that were white for harvest (John 4:35). In early August, a group from Gateway was able to travel to Cuba for a Mission Trip. I have to be honest, I was a bit nervous. Was Cuba safe? Could we speak freely? Would I get detained, arrested and sent home? After a long line in Detroit, visa confusion in Miami, and several of us pulled aside for additional screening in Havana…which didn’t actually happen…but we still had to wait in line for two hours, we finally made it to the mission house. And yes, I’ll just get this out of the way now, everything you see about there being old cars all over Cuba is absolutely true. The opposite of everything I had feared came true…I was worried about rugged accommodations, the beds were pretty good. I was worried about being too hot, and I woke up in the middle of the night because I was so cold. I was worried about being able to speak freely, and I could speak more freely than the citizens. I was especially worried about not being able to contact my family for the whole week, but by day two, I was able to get texts and make phone calls. When in Cuba, our team was able to lead four different four-day Vacation Bible Schools. This enabled us to work directly with the Cuban house churches to encourage them and help them grow their outreach to kids and families. Strangely, because of our visas, we were able to do more to invite the children and hold large gatherings than the citizens of Cuba could. In total, we were able to play games, color, tell Bible lessons, and share the Gospel with over 200 kids! There was also an opportunity for us to go meet with about twenty-five house church leaders and encourage them for three days with Bible training. The Cuban government requires churches to have fewer than twenty-five attendees, so anytime a church begins to grow, they have to train up and send out new leaders to start a new church. It was a privilege to come alongside these leaders and help them grow in their knowledge of and love for God. A couple we were able to share Christ with while in Cuba. Now, let’s revisit that wheat field. You may have many reasons why you wouldn’t want to go to Cuba. Perhaps it’s fear of what could happen to you, maybe you feel inadequate to lead VBS or to teach a group of adults. Let me counter those arguments, you are equipped to go to Cuba and serve the people there. Can you share a smile with a child at VBS? Can you color with some kids? 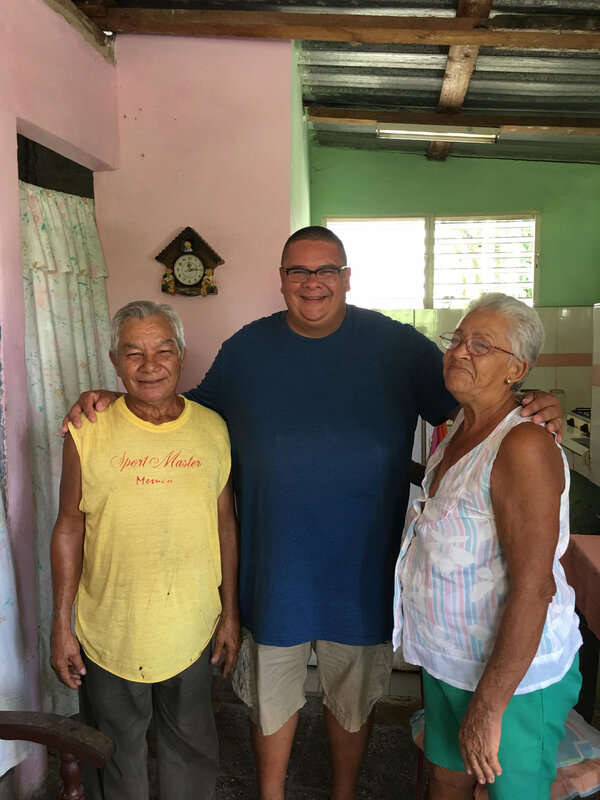 Maybe you’ve been through Joshua’s Men and you could share some of what you have learned with a group of Cuban church leaders, so that they could grow, go, and share with their congregations. Let’s rise up and go to the fields, Gateway. Whether it’s Cuba, Ethiopia, Costa Rica, Kentucky, or our next door neighbor, the fields are white for harvest. The time is now. NOTE: Tensions between the United States and Cuban governments have grown since our group was able to go to Cuba in August. As a church body and individually, we need to mindful of travel warnings issued by our government before taking our next trip.